Emmerson Mnangagwa was officially sworn in as president of Zimbabwe on Sunday after winning a bitterly contested election that marked the country’s first vote since Robert Mugabe was ousted from power. Mnangagwa, whose victory in the July 30 polls was challenged by the main opposition, pledged to “protect and promote the rights of Zimbabweans” in an inauguration ceremony attended by a crowd of thousands at a stadium in Harare. “I Emmerson Dambudzo Mnangagwa swear that as president of the republic of Zimbabwe I will be faithful to Zimbabwe (and) will obey uphold and defend the constitution of Zimbabwe,” Mnangagwa said. 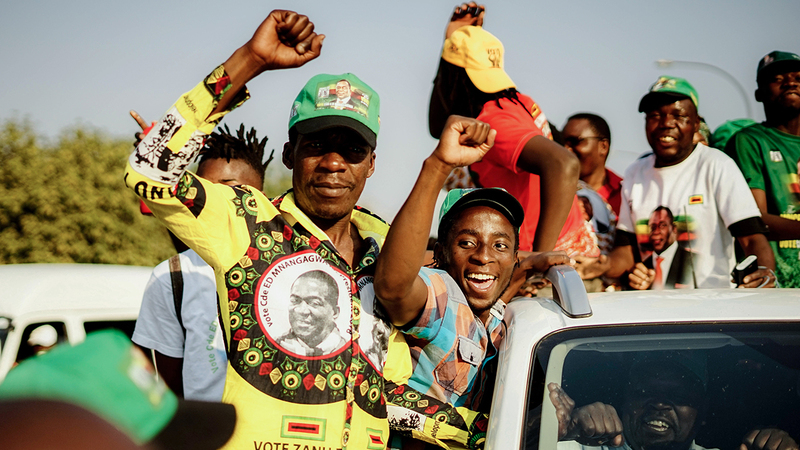 Once Mugabe’s right-hand man, Mnangagwa of the ruling ZANU-PF party won the election with 50.8 percent of the vote — just enough to meet the 50 percent threshold needed to avoid a run-off against the main opposition led by Nelson Chamisa, who scored 44.3 percent. Zimbabwe’s top court on Friday dismissed Chamisa’s bid to have the results annulled because of allegated of vote rigging.